Children are a gift from the Lord. (Psalm 127:3). Hi my name is Cynthia and I am a single mother. Yet another holiday and you feel all alone rushing to beat the clock to ensure gifts are placed neatly under the tree. I have had those days where the load felt overwhelming. All year round you bare the responsibility of caring, nurturing, and providing while feeling unappreciated. I know this is not how you pictured your life. But the good news is you have NEVER been alone. God has been strengthening you to perform the role He has called you to be: a mother. His grace is sufficient, remember the times you did not feel like getting out of bed to go work but somehow did, the times you felt strength from no where, and don’t forget the times He made a way where there seemed to be no way. I can testify God has done that for me and supernaturally provided for me in more ways than one. Let me not take away from the father of my children who plays a major role in their lives and who also is subscribed to this blog (gotta cover myself) but usually the brunt of the responsibility falls on the mother even if she is married. I salute every mother but God has a special blessing for the single mom because many have no support from family or the other parent. God has not lost sight of you, He remembers all the emergency room visits, the sleepless nights caring for a child, the many tears you have cried at night, parent teacher nights, and homework nights. To the mothers living in poverty-stricken regions in other countries God has not forgotten about you. He has taken note of the abuse many have taken for the sake of their children. The Lord will vindicate and execute your justice. Just hold on. To the single mother dealing with depression ready to throw in the towel and give up, God is only one call away. Cry out to Him. He is near the broken-hearted and those crushed in spirit. (Psalm 34:18). God has many names but one of my favorites is “Yahweh”. Yahweh means “I Am”. God is saying “I Am anything you need Me to be”, the God of the whole entire Universe can be anything you need Him to be. Man I just got chills! He is independent. He is before time. He needs counsel from no one. Your situation is no surprise to Him. He can be your “baby daddy”, He can be your provider, He can be your comforter, and He can be your protector. He can become the second parent in the home to aid and give you instruction on how to raise your children or child, but you have to invite Him in. God has got you covered single mother, I know it gets hard but the reward overshadows the difficulty. You can’t falter now, your child/children look up to you. 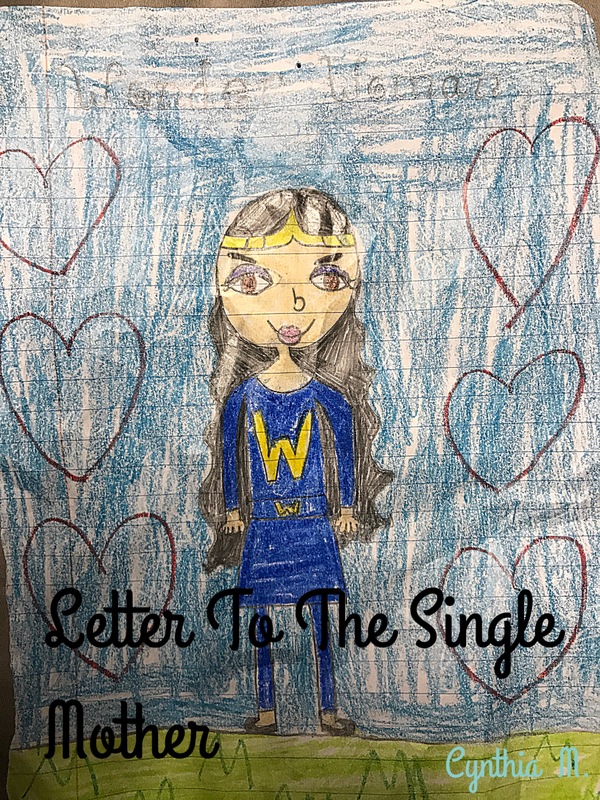 The cover photo is an actual drawing by my daughter, she views me as a “wonder woman”. It hangs in my kitchen as a daily reminder that two little humans depend on me. God is keeping record of our sacrifices. 1. Do not forget to subscribe, subscribe and subscribe. 2. 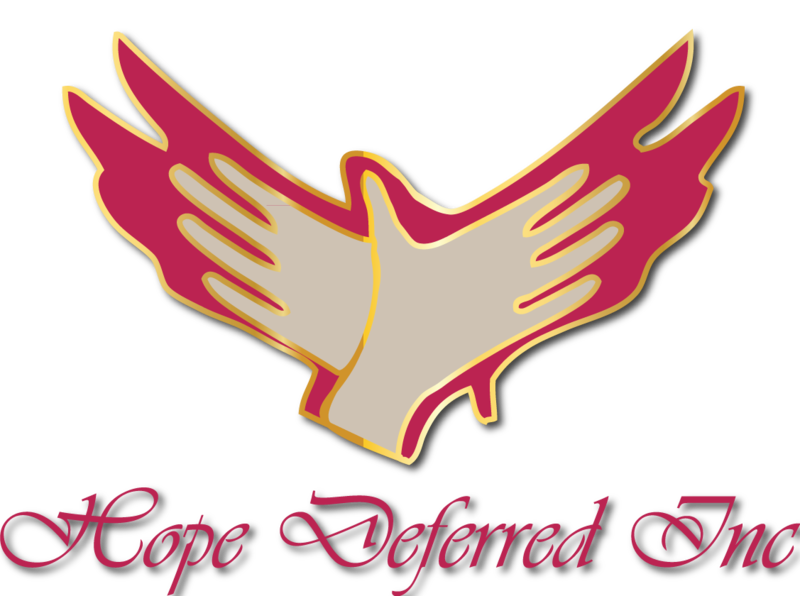 One of the projects on Hope Deferred Inc’s agenda is to host a single moms gala but will be open to all women. Please watch out for that and other events. Thank you for all the support. I wish a blessed and prosperous Holiday Season to you and all your families.